The best of both worlds! 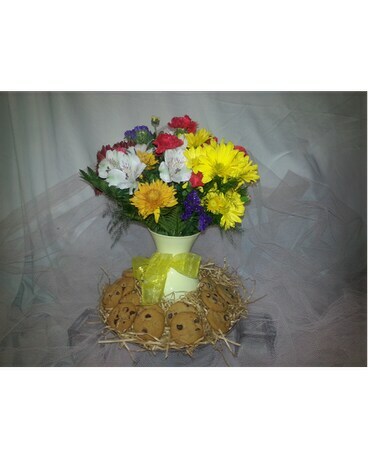 A vase of fresh flowers arrives surrounded by fresh made Chocolate Chip cookies. The best of both worlds! A vase of fresh seasonal flowers arrives surrounded by fresh made Chocolate Chip cookies.